Have you earned a reputation as a “photographer” among family and friends because you carry a fancy DSLR camera such as Nikon D200? It is possible at some point someone will ask you to photograph their weddings or other special events. Here are some camera setting tips for Nikon D200 and SB-800. Try it out. You may have to tweak some settings to suit your tastes and the exact shooting conditions on site. The basics should also apply to other camera and flash models with appropriate adjustments. No weddings to practice? Try it on the next party. Do you have a set of camera and flash settings that worked well for you? Please post in the comment area to share with others or drop me a line at picmax at gmail dot com. Posted in Tips and Techniques on July 20th, 2007. No Comments. In macro photography, diffused light is the best quality light you can have to avoid shadows and hot spots. I saw this post at my favorite photography forum. By placing a diffuser made from a plastic milk jug over the lens hood mount, the light from a flash unit can be diffused to produce a desired soft light. Check out the post with photos of the setup and an example photo. Posted in Photography DIY, Photography Lighting on July 18th, 2007. No Comments. Photos of smokes are intriguing and beautiful. I found this nice short tutorial on Flickr describing how this is done. With some photoshop job, they can be so colorful. Another good piece on smoke photography can be found here. Posted in Photography Lighting, Tips and Techniques on July 15th, 2007. No Comments. There are many ways you can find out the name of a unfamiliar bird you photographed. For an untrained and casual shooter, like many of us, asking the expert is probably the easiest. The question is then: where to find the experts? Join Flickr.com if you have not. It is completely free for basic members. 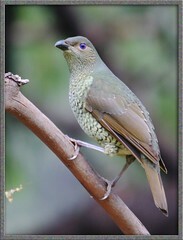 Join the group called “Field Guide: Birds of the World“. Read the group rules. Post the photo of the bird in the “Bird ID help line” thread. Be polite and be patient, your question will likely be answered fairly quickly. You do not have to add the photo to the group pool (it will likely be removed if you do due to lack of bird ID and Latin name tags). Posted in Tips and Techniques on July 15th, 2007. No Comments. Do you know how color affects the exposure? Do you know why it is so easy to blow the red or blue channels when taking close up photos of flowers using automatic exposure? There are a couple of nice posts (this one and this one) on DPReview Nikon D1/D2/D100/D200 forum discussing this issue. At the end, you may also want to visit this article, in which Bruce Lindbloom discussed how to compute the luminance value from RGB values in different color systems (SRGB, Adobe RGB, etc). Digital camera sensors have red, blue, and green sensing sub-pixels arranged in a special pattern (Bayer pattern) to capture three different colors. The final luminance value is calculated from the three color components. Not all colors are created equal. Red and blue colors do not contribute as much to the overall luminance values as the green does. So if the scene is dominated by red or blue colors, the camera may see the scene as too dark and try to boost the overall brightness of the scene to compensate. The consequence is blown red or blue channels. So, what is the fix? Use RGB histogram if your camera has one: RGB histogram displays the histograms of three color channels separately. After taking one photo, check the RGB histogram of the image. If you see blown red or blue channels, you can dial in some negative exposure compensation to take another photo. If this makes the picture look too dark overall, you can always try to overcome by post-processing. It is not possible to recover if the details in the highlights are lost. Some also suggests changing white balance to avoid blown channel. I am not a fan of that but you can certainly try. If you have a camera without RGB histogram: First, try to understand how color affects the exposure on your camera and dial in the exposure compensation. You may get a good feel of how much exposure compensation is needed by practice. Second, use exposure bracketing. By taking pictures with different exposure compensation, you can always select the one with the perfect exposure on your computer. Most cameras have exposure bracketing function to take a series of photos at different exposures automatically with a press of shutter release. Posted in Tips and Techniques on July 14th, 2007. No Comments. Focusing at a closer distance will reduce the DOF. The focal length of your lens may limit how close you can get. For example, it is preferred not to get too close to for a portrait photo with a wide angle lens to avoid odd-look distortions. At the same camera to subject distance, lens with longer focal length will produce shallower depth of field. An added benefit of long lens is that it also has a narrow angle of view, therefore making it easy to avoid background distraction, such as a power pole, trash can, or hash reflection spot, etc. The wider the aperture (the small the f-stop number), the shallower depth of field is. Professional grade lenses can typically open up to f/2.8, or even f/1.4. Some budget lenses may not have such large aperture so you just have to open as wide as possible if the DOF is not shallow enough. In many practical cases, you do not want to use maximum aperture for a couple of reasons: first, the DOF may be too shallow to contain all parts of the subject that need to be sharp; second, the image quality may be degraded due to distortion and chromatic abbreviation. You may want to know more about your lens to make a decision on whether the image quality is good enough. Many digital single lens reflex (DSLR) cameras have a DOF preview button. In typical photo-taking process, the camera sets the aperture wide-open to give user a bright viewfinder. When the shutter release is pressed, the camera will set the aperture to the intended f-value. If the intended aperature is already the maximum aperture of your lens, pressing the DOF preview button has no effect, although you may still hear a click. The above are the basic tips of taking photos with less distracting background. Please comment below or drop me an email at picmax at gmail dot com. The excellent photo in this post was taken using a 90mm lens at f/3.8. Posted in Tips and Techniques on July 11th, 2007. No Comments.